(from Wikipedia, the free encyclopedia) Facel was a French manufacturer of automobiles from 1954 to 1964. The company was named after the original metal stamping company FACEL, and the company's first model, the Vega, named after the star, was introduced at the 1954 Paris Auto Show. The cars were advertised with the slogan For the Few Who Own the Finest. Initially successful, the company failed after the debut of its mechanically troubled Facellia model. The Vega production cars (Facel FV, later and more famously the HK500) appeared in 1954 using Chrysler V8 engines, at first a 4.5-litre (275 cu in) DeSoto Hemi engine; the overall engineering was straightforward, with a tubular chassis, double wishbone suspension at the front and a solid driven axle at the back, as in standard American practice. They were also as heavy as American cars, at about 1,800 kg (3,968 lb). Performance was brisk, with an approx 190 km/h (118 mph) top speed and 0 to 100 km/h (62 mph) in just under ten seconds. Most cars were 2-door hardtops with no centre pillar, but a few convertibles were built. The 1956 model was improved with a bigger 5.4-litre (330 cu in) Chrysler engine and updated transmission and other mechanicals. In the same year production began of a four-door model, the Excellence, with rear-hinged doors (suicide doors) at the back and no centre pillar. The pillarless design unfortunately made it less rigid and the handling was thus poorer than that of the two-door cars, and surviving examples are rare. 1959 models had even bigger engines, a 5.8-litre (354 cu in) and later a 6.28-litre (383 cu in) Chrysler V8, and were quite a bit faster despite their extra weight. The final evolution of the V8 models came in 1962 with the Facel II, which was lighter, with sleeker, more modern lines, substantially faster still, and famously elegant. In 1960, Facel entered the sports car market with the Facellia, a small car similar in size to the then popular Mercedes 190SL. Facellias were advertised in three body styles: cabriolet, 2+2 coupé and 4-seat coupé — all with the same mechanicals and a 2,450 mm (96.5 in) wheelbase. Styling was similar to the Facel HK500, but with rather elegant (though fingernail-breaking) flush door handles. Following Facel Vega's demise several of M Daninos's styling cues were "borrowed" by Mercedes-Benz. Prices were roughly US$4,000 for the Facellia, US$5,500 for the Facel III and US$6,000 for the Facel 6. With the idea of creating a mass-produced all-French sports car competing with the Alfa Romeos, Facel moved away from American engines. The Facellia had a 4-cylinder 1.6 L DOHC engine built in France by Paul Cavallier of the Pont-à-Mousson company (which already provided manual gear boxes for the company's larger models). The engine had only two bearings supporting each camshaft, using special steels, as opposed to the usual four or five. Despite the metallurgical experience of Pont-à-Mousson, this resulted in excessive flex, timing problems and frequent failures. The engine was pronounced a disaster and the Facellia with it. Company president, Jean Daninos having been obliged to resign in August 1961 in response to the company's financial problems, the new boss, a former oil company executive called André Belin, gave strict instructions to the after-sales department to respond to customer complaints about broken Facellia engines by replacing the units free of charge without creating "difficulties". The strategy was intended to restore confidence among the company's customer base. It would certainly have created a large hole in the income statement under the "warranty costs" heading, but it may have been too late for customer confidence. The troublesome engine was replaced with a Volvo P1800 powerplant in the Facel III, but the damage was done. Production was stopped in 1963 and despite the vision of it being a "volume" car only 1100 were produced, which is Facel's highest production number. 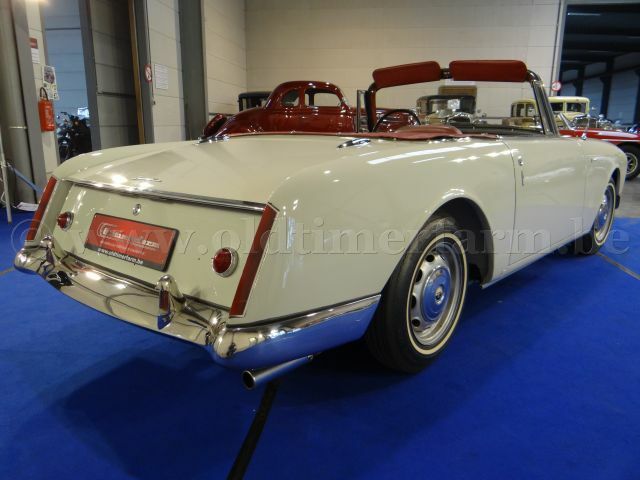 Facel lost money on every car they built, the luxury car side of the company being supported entirely by the other work done by Facel Metallon, Jean Daninos's obsession being very similar to that of David Brown of Aston Martin. The small Facellia met with little success and the losses from this, due to strong competition at the luxury end of the market, killed off the company. 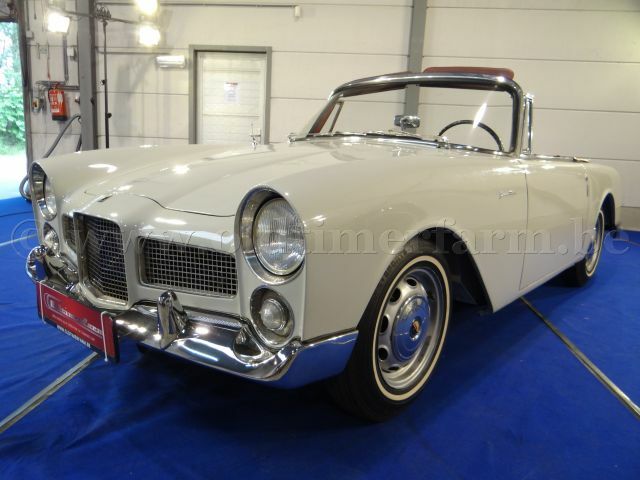 Facel left the car market completely in 1964. What was, according to some, the best small Facel, the Facel 6, which used an Austin Healey 2.8-litre engine, came too late to save the company, fewer than 30 having been produced when the French government scuttled the endeavour. Specifications. Bodywork. Length/width/height/wheelbase – cm (in) : 412/162/127/245 (162.2/63.8/50/96.5); weight : 1035 kg 2284 lb). Mechanics. Straight four 1646 cc (100 ci), front mounted, 8 valves, 2 Solex carburettors, 4 speed manual gearbox, rear-wheel drive. Top speed : 182 km/h (113 mph).